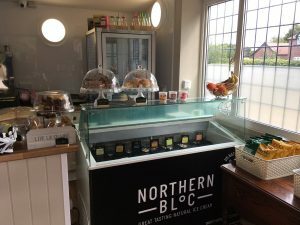 Situated in the picturesque rural setting in the village of Puddington, Cheshire our newest Cafe is now open for business. Come and enjoy a Barista style coffee or a speciality tea in a relaxing and clean environment with the satisfaction of knowing that as a not for profit organisation your visit is helping our charitable causes. 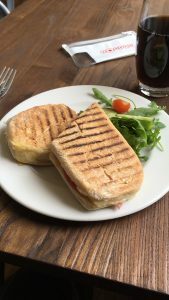 We serve all kinds of lovely food including freshly prepared sandwiches, hot toasted panini’s, soup, cake and of course ice cream. So whether meeting up with friends, taking a lunch break or simply curious please come visit us soon. We are a dementia and family friendly space and all our staff are trained Dementia Friends. We are Cheshire’s seven day a week dedicated Dementia-Friendly café and we recently celebrated our first birthday. 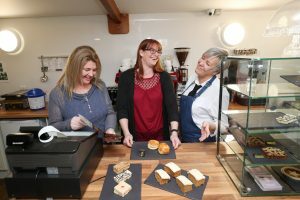 GIFT Café, set in the picturesque village of Puddington, is the brainchild of friends Cathrina Moore and Caroline Hutton. 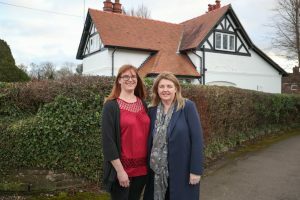 Cathrina and her family are the owners of our neighbouring two care homes – Plessington Court and the Chapel House Care Home. 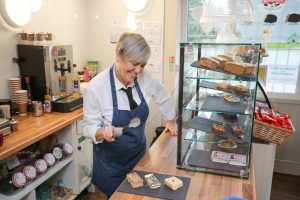 The pair set up the popular café in the Lodge on the site to provide a warm and friendly environment for visiting families to take their loved ones to share homemade food, seven days a week. 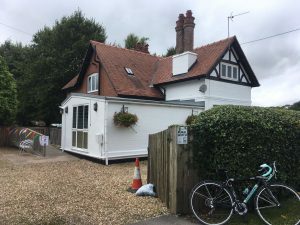 The Chapel House Lane café has also quickly become a popular destination for cyclists, walkers, dog owners and residents from the local area who come for its famous home-made soups, fresh sandwiches and cakes. 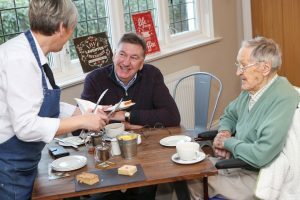 What is a dementia friendly café? 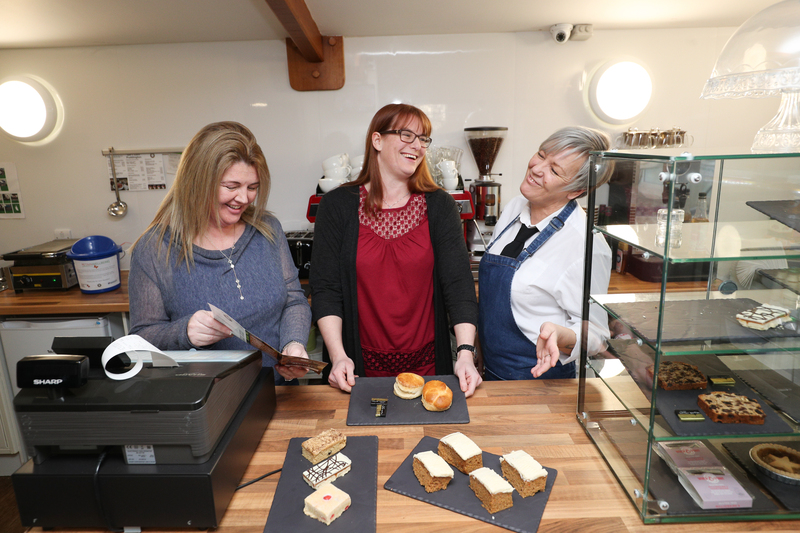 All of the staff in GIFT Café are ‘Dementia Friends’, it is a not for profit organisation and all profits are donated to projects tackling social isolation in the community. We wanted to set up GIFT Café in Puddington to help people who live with dementia and their carers to live as well as possible, for longer. People with dementia are often isolated and so are their carers. We have regular customers who see our café as one of the few places they can come where they are not judged. They love the idea of coming to a place in the community that welcomes them. All our staff are Dementia Friendly – our youngest is sixteen – which means they know exactly how to make a person with dementia feel comfortable. This can mean making sure the right music is played at the right volume, as many people with dementia don’t like loud noises, or being on hand to give reassurance when it’s needed. Visitors to GIFT Café all know Paula. 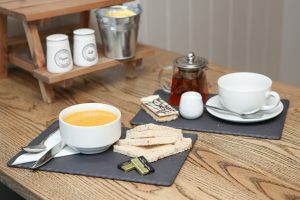 Famous for her home-made soups and cakes, she is responsible for creating all our menus. GIFT Café runs a series of events for the public including music evenings, Brums & Buns, a collection of vintage cars, sing-alongs and craft days as well as biscuit decoration days for young children. Keep an eye out on our social media for all the latest events. Gift Cafe Puddington is wheelchair accessible with a drop off point directly next to the wheelchair access. We have plenty of car park space for customer vehicles to the rear of the cafe. 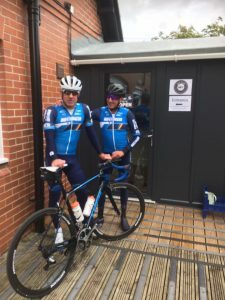 We are situated next to very popular cycling and walking routes and know that a very important part of a great days cycling or walking involves an excellent cafe stop. Our spacious cafe has both indoor and outdoor seating areas where you can rest, enjoy some quality refreshments and prepare for the next stage of your journey. 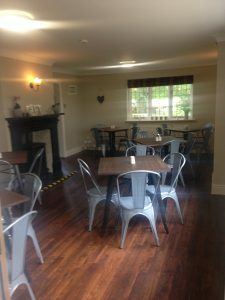 Gift Cafe Puddington offer a room hire service which is perfect for meetings, baby showers, birthdays and christenings. The room can comfortably seat 28 people. We are in the process of setting up a wireless community network which will give us excellent WIFI and we also receive a strong 4G signal. We can provide a full catering service depending on your needs. Call us on 0151-336-8570 or use the contact form to find out more.